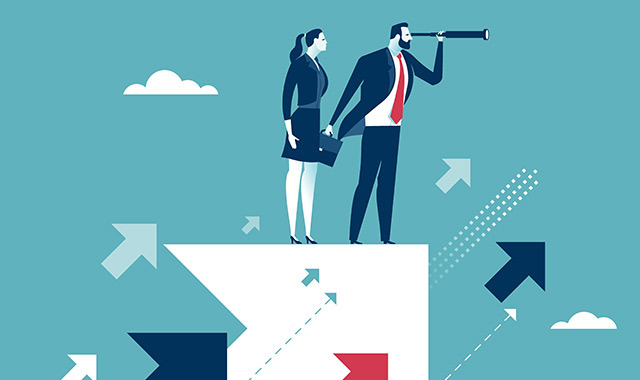 It’s true: the climate is shifting in the Rockford area, and these increasingly favorable conditions are providing many opportunities for those who are ready to grow or launch their enterprise. These past few years have brought a wealth of new businesses and destinations to downtown Rockford, where locals and out-of-towners are gathering for weekend dining, entertainment, sports tournaments and urban exploring. Work is already underway on a new hotel and an indoor City Market, which both promise to increase traffic in the coming years. 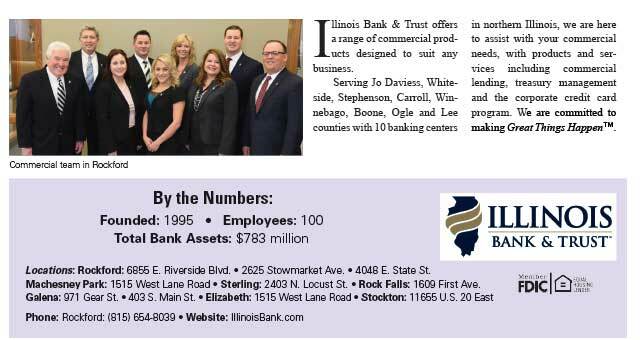 Around our region, businesses continue to invest in new and expanded facilities, as they gobble up vacant properties and seize upon opportunities in fields like health care and manufacturing. Beloit’s urban renaissance continues at its steady clip, increasingly spreading out toward other parts of the city. Meanwhile Freeport, Belvidere and Dixon are enjoying a renewed attention to their urban cores and finding that business is growing among many sectors. All around our region, the real estate market is picking up. Buyers are gobbling up homes at one of the fastest paces in recent history, and sellers are turning over their properties in record time. Homebuilders are slowly emerging from a long hibernation. New federal tax breaks and a return to local control in Rockford are opening up new possibilities for investment, even as long-running issues in Springfield linger. As you seek new opportunities in this changing climate, you’ll no doubt need a little extra credit and capital to make your vision into a reality. 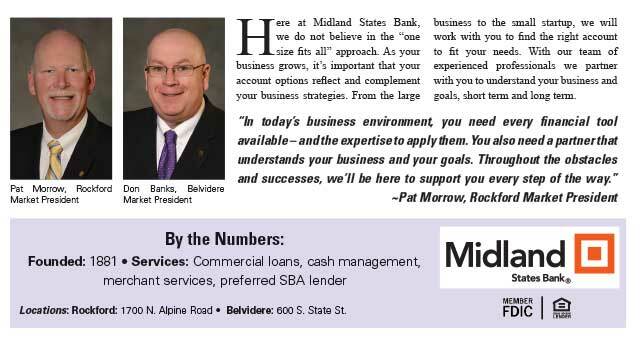 Commercial lenders play an important role in the growth process, and they can be an important ally in bringing your plans to fruition. Finding the right lender is no small task, for this is a long-term relationship that requires a lot of support and understanding through the good times and the bad. 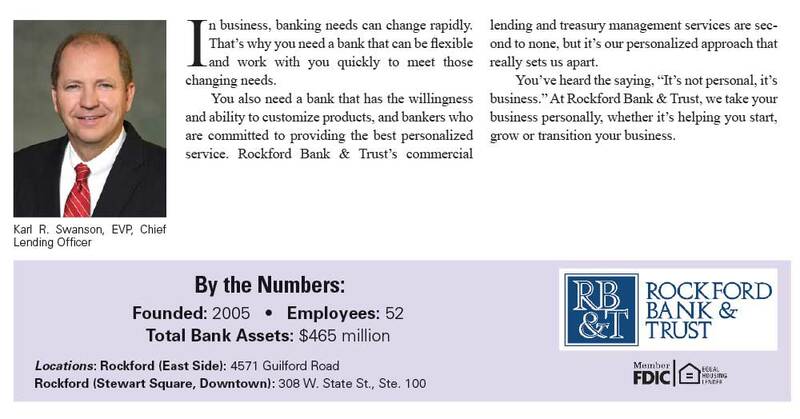 In our region, a ready supply of business-friendly local banks stands ready to fill that role. Inside this section, we’ll introduce you to a few of our region’s top picks and the qualities that make them stand apart from the rest. 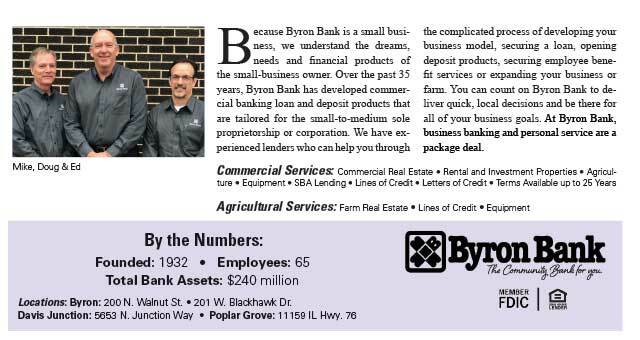 This entry was posted on Monday, April 2nd, 2018 at 11:58 am	and is filed under Northwest Business Magazine. You can follow any responses to this entry through the RSS 2.0 feed. Both comments and pings are currently closed.